McHugh is an agent for the Pentagon. In his late 30's standing just over 6' with a 190 lb frame, McHugh has a demeanor that tells people he is not worried about trouble. A weathered face with a permanent tan, short brown hair with gray at the temples, and a broken nose not properly reset, McHugh is good looking enough to get ladies to take a second look. He's dangerous enough to make the men do the same. When things are quiet, McHugh runs a nice but not flashy bar on a side street in San Francisco called The Door, partnered with his one true love, Loris, who sings and bartends there and takes over when McHugh goes away. It pays well enough to keep he and Loris without money problems. This bar is in itself an interesting topic as many of the regulars are not locals as would be expected for an aging neighborhood bar but are in fact operatives from a wide assortment of intelligence agencies, not all of them American. They have, largely due to McHugh’s reputation, chosen to make The Door a neutral watering hole. 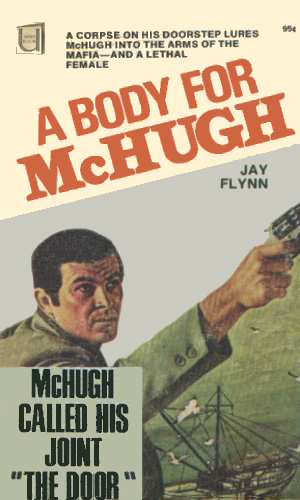 In addition to running and working the bar, McHugh is not against helping out as an unlicensed private detective, much to the consternation of the local police and the FBI. All this changes whenever a phone call comes in from General Burton Harts, a top general at the Pentagon, calling McHugh back to his real profession and sending him on the road again. The calls come with no warning and mean it is likely to be weeks or months before he returns. It has been that way for several years and McHugh wouldn't mind it going on indefinitely. Loris minds but she loved McHugh and that is who he is so she deals with it. If McHugh has a first name, it is never told nor ever used. The socialite girlfriend of a missing electronics expert asks McHugh for help in tracking him down. Then the FBI followed by the mob try to convince him to let it go. He doesn't. First McHugh learns of two Navy pilots who have gone AWOL. Then there are rumors of jet fighters which have been stolen. And the last bit of news was of a hacienda in Mexico with a large landing strip and plenty of goons with tommy guns. 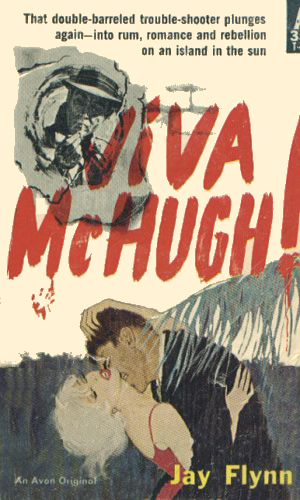 Sent to the tropical island country having its share of revolution, McHugh comes up against a dictator who doesn't want him around and rebels who wouldn't mind him being dead. 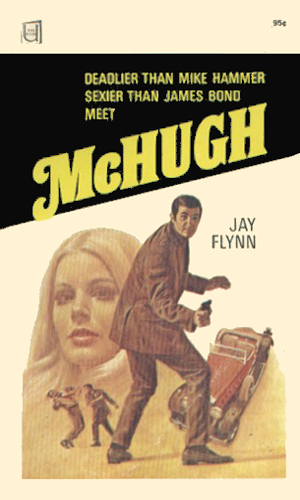 Minding his own business, literally, McHugh is curious why the young temptress should choose his bar. Or why a man who might have been following her is stabbed right outside the facility. The connection to McHugh that the FBI had from a dead man with passports in five different names was tenuous but enough to get them interested. Then the Pentagon got interested and McHugh was off to Europe to find out why the dead man had McHugh's address on his body. Without a doubt this series is a nod to the hard-nosed detectives of the 40s and 50s while moving with the times to the jet-setting troubleshooting secret agent. And it does so beautifully. 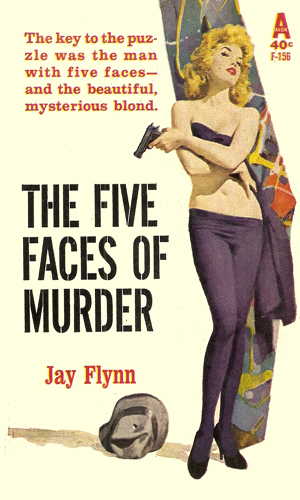 There is little wasted time and no slow spots as Mr. Flynn keeps things happening. I really, really like McHugh. I at first thought there were just three and I devoured them hungrily. When I later learned of a fourth, it was like my birthday. 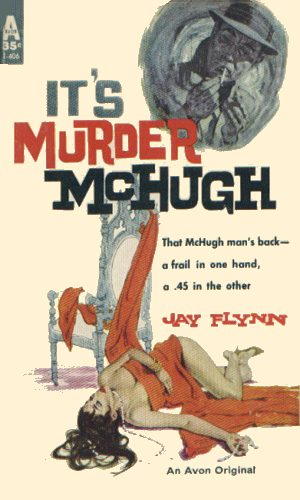 Months had passed since I read the others but I was immediately back at The Door, McHugh's bar. And it felt right. Definitely a Cheers for spies. A couple of years later, I learned a fifth book existed and suddenly the desire to return to The Door is as strong as ever. Or maybe it was just another reason to see the lovely Loris and hear her sing another romantic ballad.